• The choices we offer. When you access our Service, we may automatically collect non-personally identifiable information from you, such as IP host address, web pages viewed, browser type, operating system, referring service, search information, device type, page views, usage and browsing habits on the Service and similar data. We may also aggregate demographic information collected from our users (such as the number of users in a particular geographical location) in a manner which does not identify any one individual. We may also aggregate information collected offline in connection with the Service, obtain non-personally identifiable information from third party sources and develop aggregate information by anonymizing previously collected personally identifiable information. It is possible at times when collecting non-personally identifiable information through automatic means that we may unintentionally collect or receive personally identifiable information that is mixed in with the non-personally identifiable information. While we will make reasonable efforts to prevent such incidental data collection, the possibility still exists. If you believe that we have inadvertently collected your personal information, please notify us at hello@leanproject.co. ·We may share your personally identifiable information collected in connection with providing the Service. ·We may use your personally identifiable information to respond to your inquiries or requests. Party Vendors”) to further the purpose for which you provided such information to us. For example, we may share your information with Elastic Email, for the purpose of sending emails. We urge you to read the privacy practices of all of our Third Party Vendors before submitting any personally identifiable information through the Service. ·We may disclose personally identifiable information as required by law or legal process. ·We may disclose personally identifiable information to investigate suspected fraud, harassment or other violations of any law, rule or regulation, or the terms or policies for our services or our sponsors. 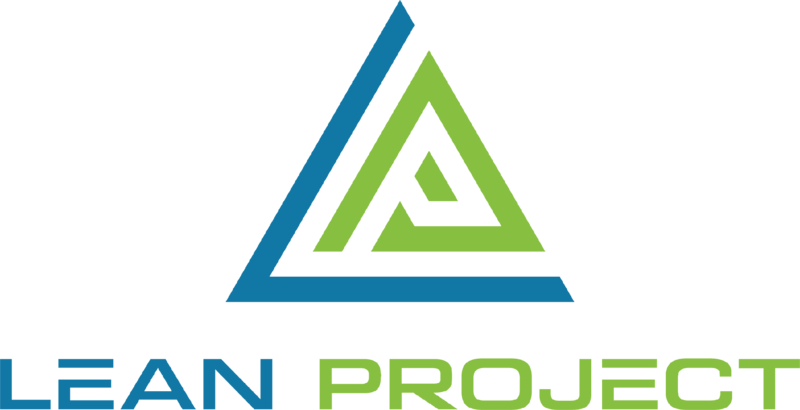 or change of control of LeanProject.co or the division responsible for the services with which your personally identifiable information is associated. ·We may share your personally identifiable information with an affiliate of LeanProject.co who is in the same corporate family as us as long as their privacy practices are substantially similar to ours. Non-personally identifiable or aggregate information may be used by us for any purposes permitted by law and may be shared with any number of parties, provided that such information shall not specifically identify you. If you delete your cookies, change browsers or use a different cookie, our cookie (or an opt-out cookie) may no longer work and you will have to re-input (or opt-out) again. Like many services, the Analytics Service uses first-party cookies to track visitor interactions as in our case, where they are used to collect information about how visitors use our site. We then use the information to compile reports and to help us improve our site. The Analytics Service collects information anonymously. They report website trends without identifying individual visitors. You can opt out of the Analytics Service without affecting how you visit our site. For more information on opting out of being tracked by Google Analytics across all websites you use, visit https://tools.google.com/dlpage/gaoptout. We may also use Google conversion tracking and/or similar services to help us understand your and other users’ use of the Service. When you access the Service or open one of our HTML emails, we may automatically record certain information from your system by using cookies and other types of tracking technologies. This "automatically collected" information may include Internet Protocol address ("IP Address"), a unique user ID, device type, device identifiers, browser types and language, referring and exit pages, platform type, version of software installed, system type, the content and pages that you access on the Service, the number of clicks, the amount of time spent on pages, the dates and times that you visit the Service, and other similar information. Depending on the law of your country of residence, your IP address may legally be considered personally identifiable information. The security of your personally identifiable information is very important to us. When we collect your personally identifiable information online, we use reasonable efforts to protect it from unauthorized access. However, due to the inherent open nature of the Internet, we cannot guarantee that your personally identifiable information will be completely free from unauthorized access by third parties such as hackers and your use of our Service demonstrates your assumption of this risk. We have put in place reasonable physical, electronic, and managerial procedures to safeguard the information we collect. Only those employees who need access to your information in order to perform their duties are authorized to have access to your personally identifiable information. For more information on protecting your privacy, please visit www.ftc.gov/privacy. You should be aware that personally identifiable information which you voluntarily include and transmit online on the Service or in a publicly accessible blog, chat room, social media platform or otherwise online, or that you share in an open forum such as an in-person panel or survey, may be viewed and used by others without any restrictions. We are unable to control such uses of your personally identifiable information, and by using the Service or any other online services you assume the risk that the personally identifiable information provided by you may be viewed and used by third parties for any number of purposes. We generally do not collect personally identifiable information from children under the age of 13. If at any time in the future we plan to collect personally identifiable information from children under 13, such collection and use, to the extent applicable, shall, when required, be done in compliance with the Children’s Online Privacy Protection Act (“COPPA”) and appropriate consent from the child’s parent or guardian will be sought where required by COPPA. When we become aware that personally identifiable information from a child under 13 has been collected without such child’s parent or guardian’s consent, we will use all reasonable efforts to delete such information from our database. Any phone calls and/or text messages delivered to your phone or device may cause you to incur extra data, text messaging, or other charges from your wireless carrier. MESSAGE AND DATA RATES MAY APPLY. You are solely responsible for any carrier charges incurred as a result of phone and/or text communications from LeanProject.co. For questions or concerns relating to privacy, we can be contacted at hello@leanproject.co.